Far be it from us to suggest you find fancy-pants Dolby sound this weekend, but the Brazilian Grand Prix which kicks off later today is your last chance to hear V8 F1 cars. Maybe forever. Forget about all you might think about F1 at the moment, the Brazilian Grand Prix is usually a cracker and in case you haven’t heard, the forecast is for rain — all weekend. 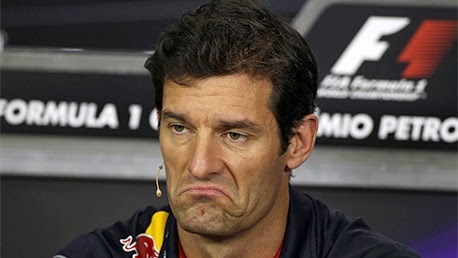 Lotus and Webber’s old arch-enemy Romain Grosjean have to be the team most likely to pick up if Red Bull fall down. Wouldn’t it be good to see RoGros take the win and top off his remarkable redemption this year? We’re also going to be rooting for Nico Hulkenberg, who has managed to lead both Brazilian Grand Prix he’s started, the first with Williams from pole in 2010. Lotus, it seems, is still waiting for that cheque to turn up, so the scenario nobody wants where Pastor Maldonado takes his suitcase full of readies to Lotus and The Hulk is faced with a frying pan/fire dilemma and has to chose between Sauber and Force India (again) seems likely. Lotus is still in the battle with Ferrari for third, just as Ferrari is still in the battle with Mercedes for second, although with 18 points between third and fourth and 15 between third and second it will take something extraordinary to change that order. But this is Brazil and it is rainy. Astonishingly, Luca di Montezemolo gave Fernando Alonso 8/10 for his driving this year. Hard to know whether that will re-motivate or further demotivate Alonso, Felipe Massa, meanwhile, has his last race for Ferrari at the track where he almost became world champion in 2008. The team the red cars will be chasing seems in good form. Lewis Hamilton was a happy bunny the last time we saw him, confident his new crack-free W04 Silver Arrow will at least give him a chance to do his thing. It’s astonishing to think the 2008 title he won at Interlagos remains his only title. And McLaren’s last. It has been downhill pretty much ever since then for McLaren, who we imagine are planning a bonfire for the two MP4-28s on Sunday night.